This is a good facility with friendly staff. Only thing is don't go for physiotherapy here. I was charged Rs. 600 for a 10 minute traction in neck. You will find much better options elsewhere. Rather crowded, but some doctors are not competent. Overall serves the purpose of preliminary treatment but not suitable for specialised diagnosis. 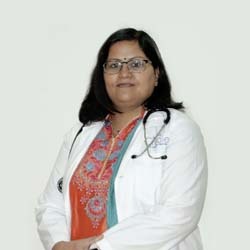 Reference is made to Apollo Hospital for any surgeries. Gynaecologist is a busy doctor with lots of waiting time. Parking is a big problem. Maintenance is average. Entrance is not very friendly.Good for nearby localities for preliminary treatment. Staff don’t really bother much about you. Extremely crowded on weekends with hours of waiting for even the simplest of tests. Disappointed. Expect much better from Apollo. The clinic itself is extremely tiny. On a weekend, the place is so crowded that it’s difficult to even walk around inside. There’s usually only one doctor present for consultations. Each patient takes about 10 mins. So even if there are 10-15 people present, that’s a waiting time of well over 2.5 hours. The clinic was good, the staff behaviour is good and the service is fast. Breakfast is not as expected. Reports will be given next day after the health checkup which is somehow not good as you have to spend 2 days for one health checkup. Visited this Apollo clinic after my accident. Got my x-ray done here. X-ray department is on first floor and there is no lift. This is not logical. They missed my fibula fracture which got detected after a few days when I went for second opinion after my pain was not reducing. I had to go for surgery. If it was detected earlier, it might be just a plaster but now after few days, I had to go for surgery and put plates. 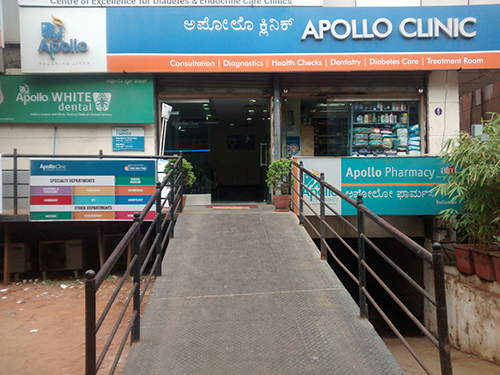 I had really bad experience with Apollo clinic.